I hope I'm the one to reveal the secret soup! This has been so fun to read all the blogs! I can't wait to see the book, Lori! I am in desperate need of some soup, so I would love to be entered :) Thank you. These are such nice prizes! I don't think I have visited so many in one week, before this week. Thanks for doing this, it's a lot of fun. Secret soup? Oh yes, please! What a wonderful fun! What a awesome giveaways! Ooooh, a surprise secret soup! Can't resist surprises, gotta love them. Thank you...This has been so fun to follow and I have now discovered a bunch of new blogs to follow. A secret soup- count me in! Thanks so much for an awesome blog hop! Thank you for a wonderful week. I have enjoyed visiting everyone's blogs and drooling over the soups! WOOT! what a week of awesome eye candy! A secret soup from you?!?!? How cool is that? 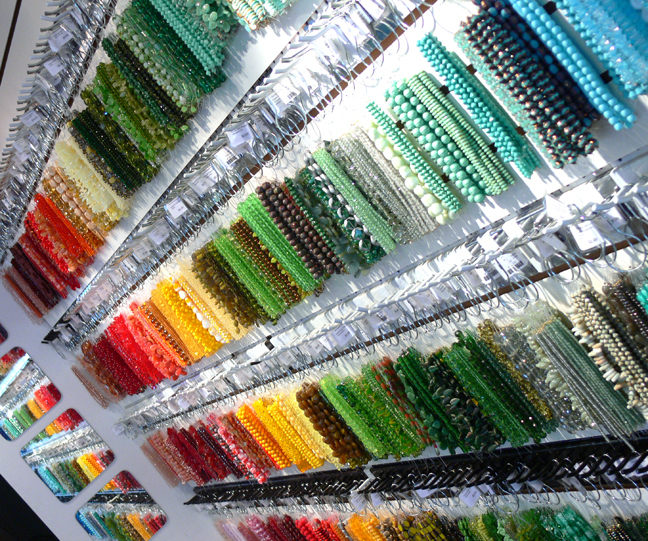 I also want to go to whatever bead shop you took that photo in. So many pretties . . . .
Hi Lori, I want to thank you for all the inspiration that you have added to the beading community with your BSBP & your awesome new book. This hop lets us see the meaning behind the pieces and it adds greatly to the enjoyment of your book. I have gone back many time and looked at your book already & it will be a go to reference in the future. This hop was a brilliant marketing tool. The chance to win some many beads is wonderful. A surprise bead package just adds mystery to it all. Your book gets an A+ from me. Winning a surprise soup is one of the best things ever! I feel so lucky to have participated in the Kalmbach bead soup, and I have SO enjoyed your book. 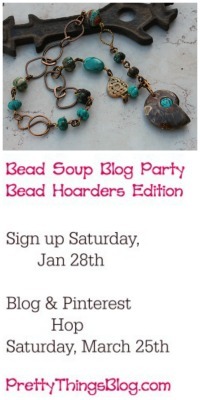 And, I can't wait to participate in the next bead soup blog party you host! Ooh! A secret bead soup picked out by you - I'm sure it will be awesome. I would love to win. I'd love the chance to win a scret soup from you!! Thanks for the chance! A special surprise soup? Would love to win! I just love secrets and a secret bead soup sounds so exciting-it just gets my little beading finger tips all tingly. I know it will be a lovely one if it's put together by you Lori. Can't wait for the list of all the winners of this fun week. Thank you for your generosity. Ooooohhh - a SECRET soup sounds like so much fun! Such awesome giveaways...love surprise soup! This is the last day? Already? I've really had fun with all the soupy sites this week. Thank you again, Lori. So much fun! I would absolutely love to win and blog about your generousity. It has been a fun week looking at all of the teaser photos for the book and all of the beautiful and generous items your contributors have offered as giveaways. It's also been nice to read such positive comments on all of the blogs and to see all of the amazing creativity out there. It's all very, very inspiring! Thanks for putting this all together. You give a lot, Lori. Mystery soup? Sounds fantastic - I'd love to have it land in my mailbox! your book tour has been so fun! Thanks for so many wonderful opportunities to win cool stuff! This has been another joyful blog party. Now as for you not being back until Monday -- are you sure it couldn't be helped? Oh yes! I 'd love to be in the drawing! I love surprises. Count me in. I 'm going to miss all the blog hopping. It was really fun! I would love to win a secret soup from you. Thanks again for all of these chances to win and participate in your bloghop. Sad to see this end. 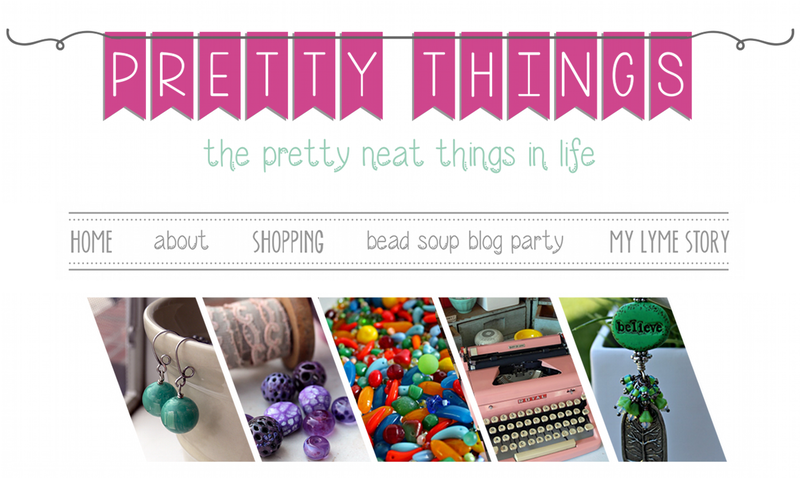 This has been a great blog hop to follow. You have been the perfect host. Thank you! This has been my favorite blog hop ever! Just a few every day and a chance to win prizes! You amaze me! Oh, how I would love to win any of the amazing prizes, but your soup ROCKS! Count me in, pretty please! I love to win your secret soup. I just know that it is going to be scrumptious. a surprise soup from Lori?YES PLEASE! :)This week has been so much fun and ive learned alot going to peoples blogs and then following that to their different pages and stuff!THANX LORI! Lori, your soups look awesome so a secret one is going to be so much fun. Thank you for putting this all together. What an amazing fun tour this has been. I always love your soups! What a great week of celebrating you have had. Congratulations once more on your book. I am starving over here! Give me some of that fantastic soup Lori! Help feed the needy! I do not envy you when it comes time to pick winners! So many names and so many numbers! You are too generous! A secret soup from you! Very intriguing ^.^ Thank you so much for the exciting chance! I hope you are having an awesome time where ever you are! I loved touring this week. Winning something is fun but seeing all the wonderful things is what keeps me reading this blog. Can't wait to see all the winners and finish the book. Having a ball. This has been a lot of fun! Loved the bead soup book .. I love surprises! 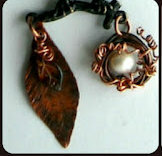 Lori, this has been awesome I hope that my book arrives this week I can't wait to see all the pieces! Would love to win your secret soup or any of your soups! I can not wait till I can see the whole book (hoping to get it next month if I don't win it) As always your blog and jewelry is inspirational! Thank you! 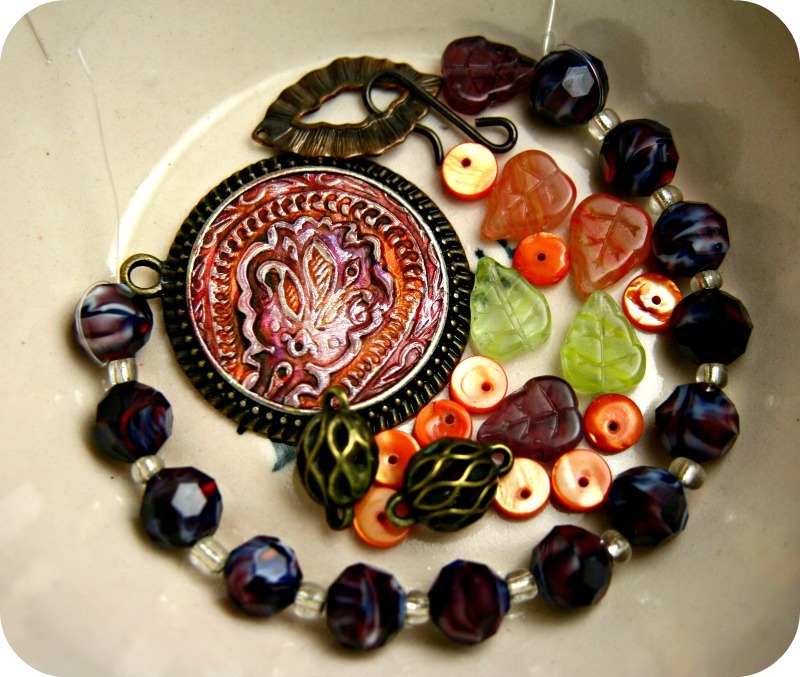 Love what you have done with the Bead Soup idea. 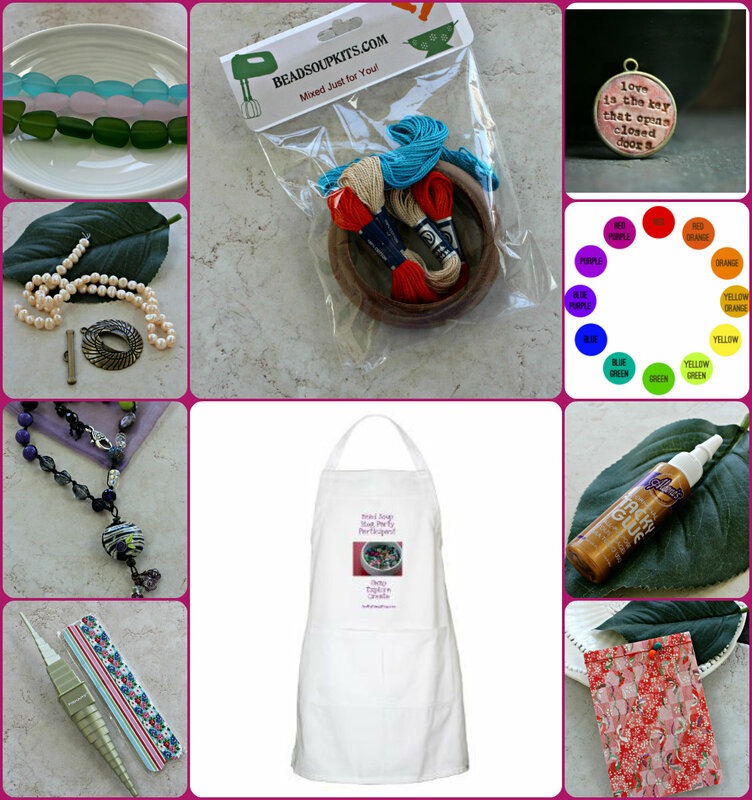 Would love a chance to win your mystery bead soup. Lori, it would so awesome to win a book from someone AND a secret soup from you! Lori, you're such a sharing and caring person - I wish everyone good luck! 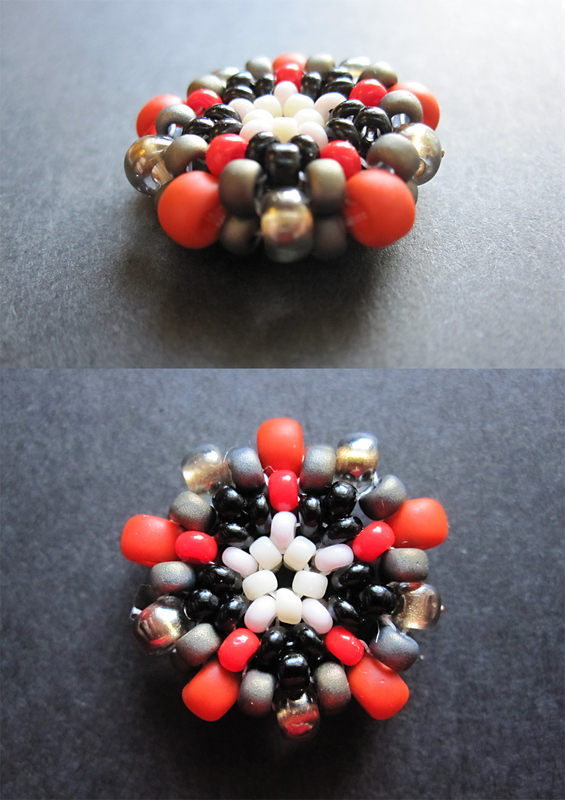 Malin's new beaded beads are awesome! Thanks for the giveaways! Oh a secret soup - how yummy! OH! Secret Soup! So very exciting! This has been so much fun, Lori! Just a blast! I hope you are well Lori and that you are not out of town for a dr appt but for something fun. Thanks for the great hop, it was fun! You had a whirlwind of beautiful prizes. I cannot wait to see who won this week. I had fun this week. Yummmm....Secret soup....I'd love to win it! ohh, the tour was so much fun. And the book has arrived. AWESOME!!!!!!!! I am so sorry to see this week end. 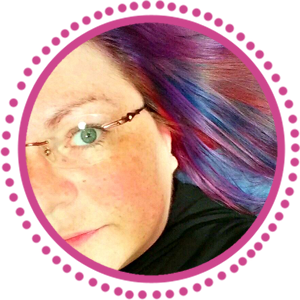 It has been so much fun each day to see what everyone on your blog hop list was up to. Thanks again for the experience. Oh no, I can't believe it's the last day! I've really enjoyed this blog tour and found so many new-to-me blogs! thanks! i want to win your mystery lot! I love a mystery Lori. I would love to have it. Oh, I love a good mystery, too!! But it's no mystery that your Bead Soup book and this blog tour have turned out to be sensational!! Contgratulations on it all Lori! Hope you have a wonderful week and lots of happy winners from everyone's blogs! I am just lovin' the book!!! You have outdone yourself again! What a lovely finish to your book launch... this has been an exciting blog hop chuck full of yummy giveaways. I can't wait to get my hands on my copy of your book! 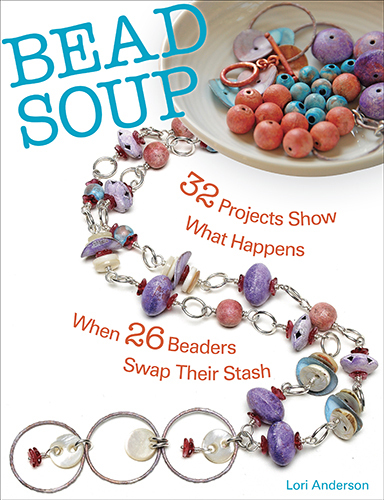 I am always up for a bead soup ;) You've gotten me hooked! Thanks for such wonderful opportunities! Oh, my how I love soup! Any Soup you make is good enough for me. I can't wait to see it; even if I don't win I hope whoever does posts a picture.